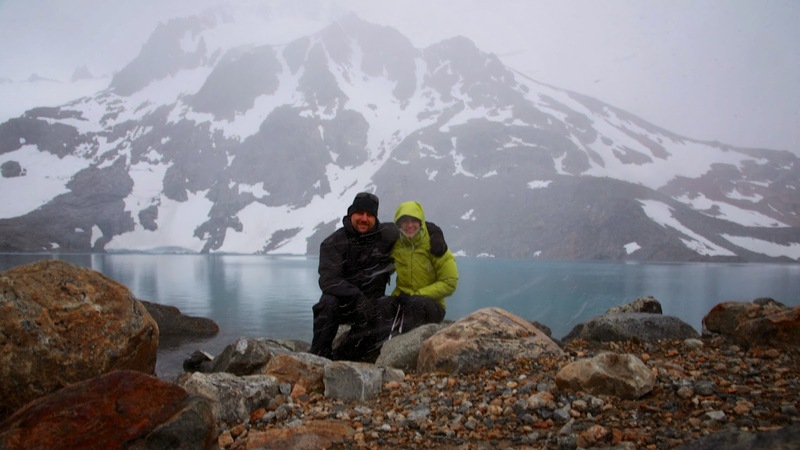 Well, after it poured rain with hurricane force gusts all through the night Emily and I decided to sleep in and finally catch up on some much needed rest before heading up to Laguna de les Tres for an up close view of Mt. Fitzroy. 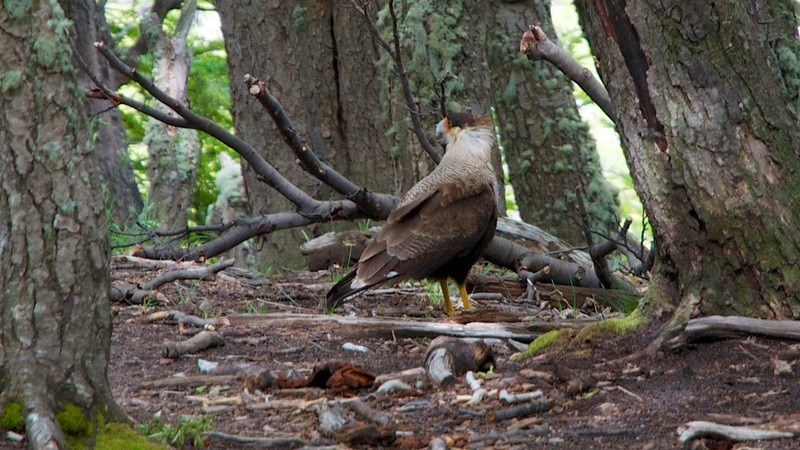 While I was getting water for us in the morning Emily spotted a Caracara bird in camp snooping for leftovers and got some cool photos of it. Unfortunately, today would be the first disappointing day of our journey as when we got to the top of the steep 1,000 foot climb up to the lakes the mountain was completely hidden by clouds and it began to snow... hard. 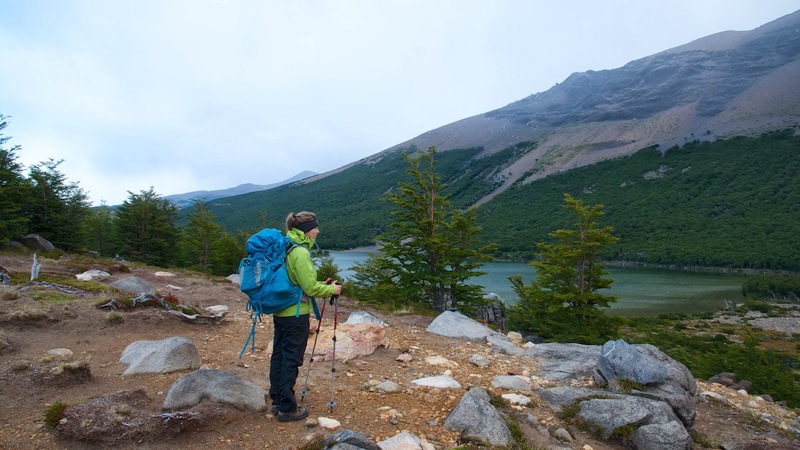 We had waited until 1pm to start our hike from camp but the clouds never cleared on the peak. 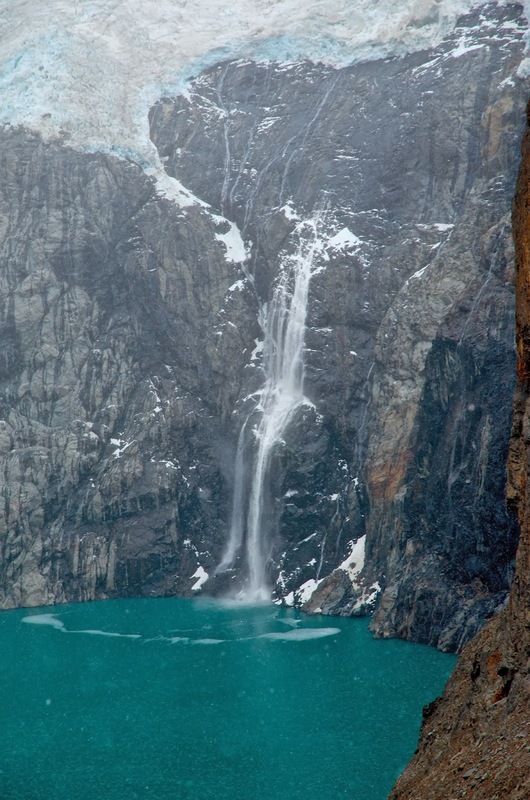 We were able to see huge glaciers pouring down from the clouds and beautiful waterfalls but no mountains. There were two lakes up at the viewpoint. The first lake was at the same level we hiked up to but there was another far below at the bottom of the waterfall pouring out from the lake we were at. 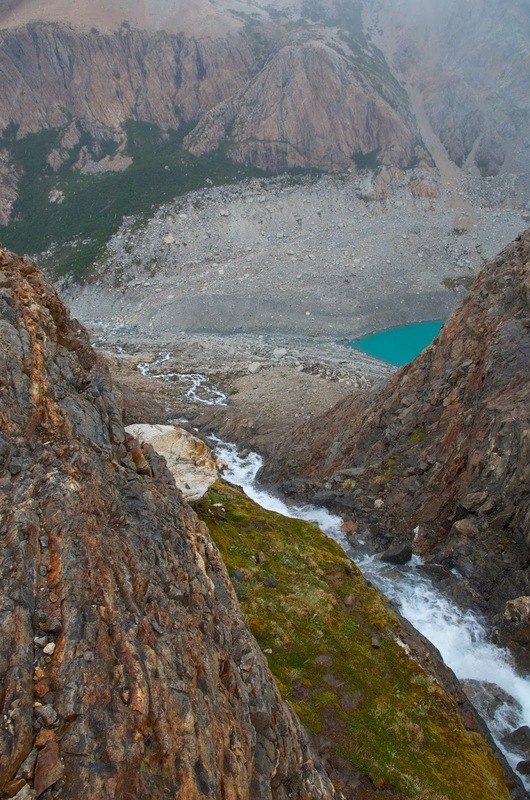 That lake was much larger and had a wall at the head of it with a huge hanging glacier and waterfalls pouring down it. 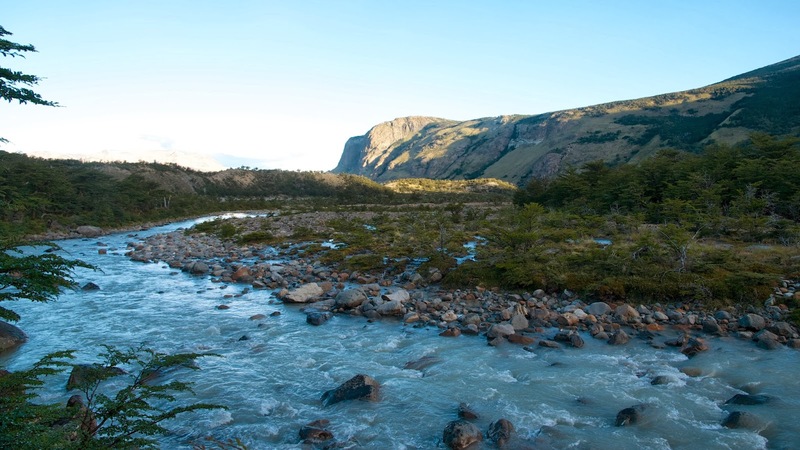 We are used to big terrain in the Northwest but it even that doesn’t compare with the size of everything in Patagonia. Very disappointed and annoyed that I had carried all of my heavy camera equipment up to the mirador, we turned around and headed back to pack up camp and head to our next destination. By the time we had everything packed up in camp it was 6pm and we had 6+ miles to hike to get to Camp De Agostini in a completely different valley. 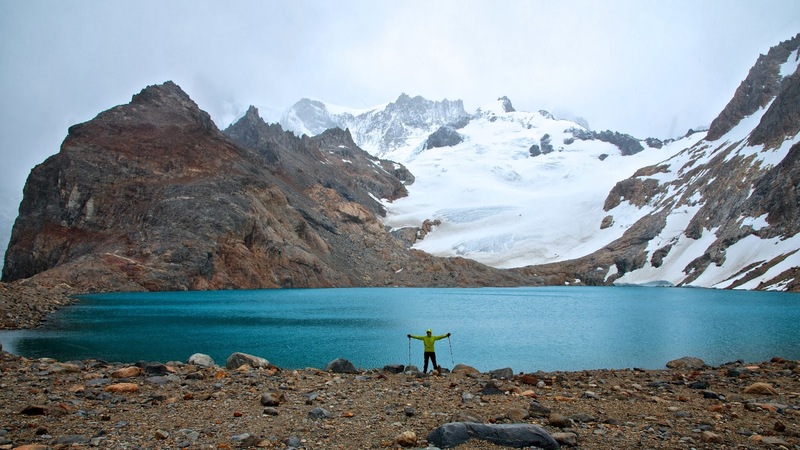 The trek was pretty flat around 2 large lakes and then a steep descent into the other valley and short climb up to the camp site, again in the protection of trees next to a glacial stream. On the way in the clouds began to clear a bit and the sun shining through over the mountains made for a really beautiful late day hike. Unlike camp Poincenot there was no sign about the water being safe to drink and it was very foggy looking and filled with glacial sediment so we decided to boil all our water just to be safe. 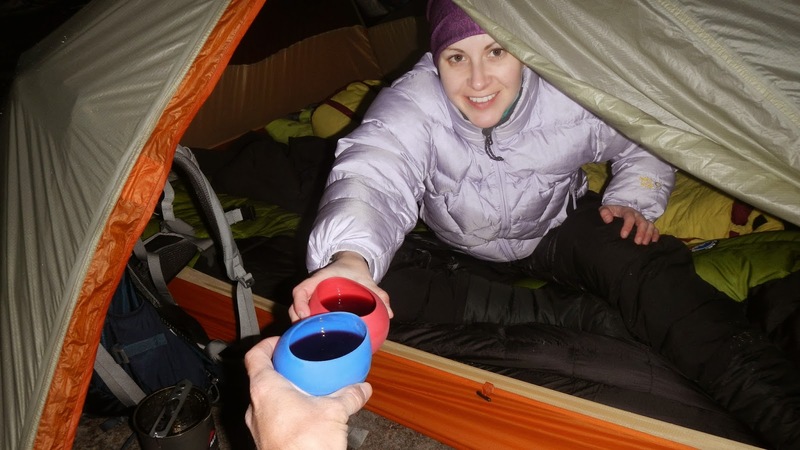 We got to camp around 9pm and had plenty of time to cook up some lasagna and pasta for Emily for dinner. While I was cooking a fox ran through the campsite right behind me. It was a much bigger animal than we have in the states and I was able to grab a few blurry photos of it as it was getting pretty dark around 10:30pm. 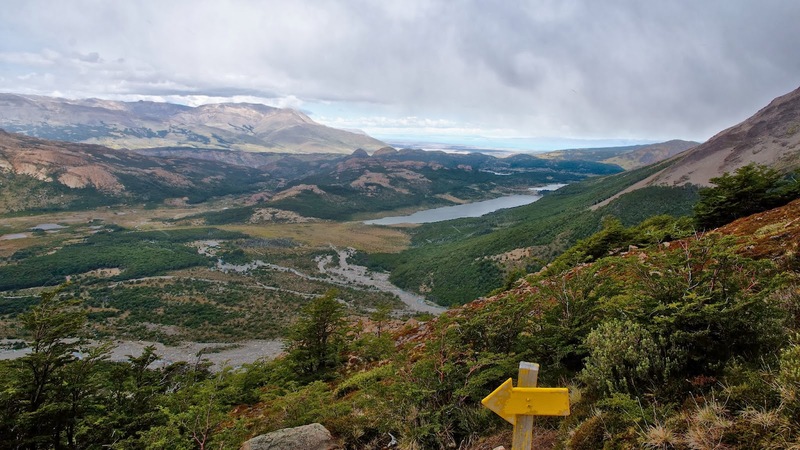 We finished the long day of hiking by watching more Lord of the Rings and enjoying the red wine, Calafate Liquour and chocolate I had packed in for us. 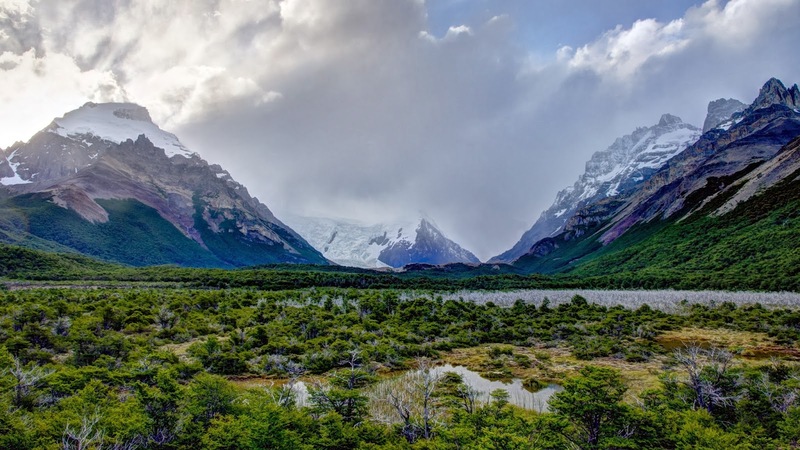 We went to sleep with hopes that the clouds would break in the morning and we would have some views of Cerro Torre on our hike to the viewpoint in the morning. 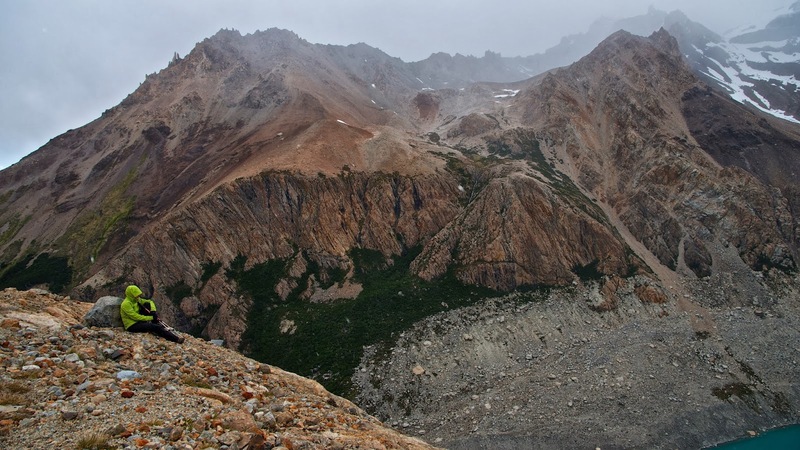 If the weather turned out to be sour again our plan was to simply hike back out to Chalten… fingers crossed.